We will be filling our store with all kinds of wonderful garden decor. 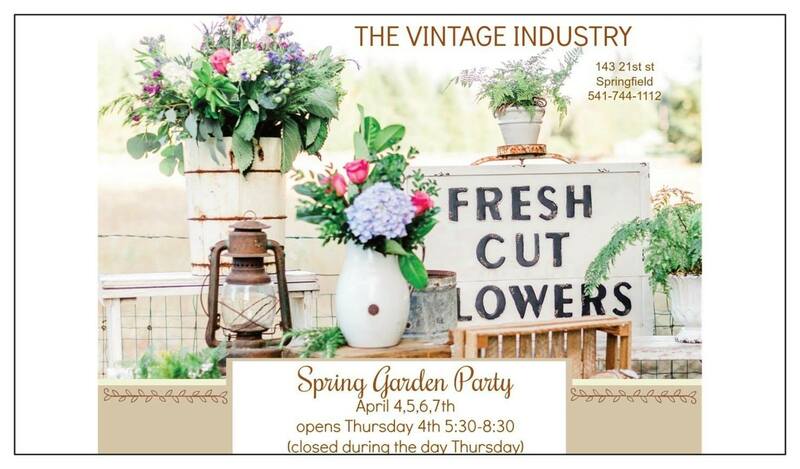 The Vintage Industry is a one of a kind store with over 12000 sq ft of carefully decorated and inspiring vignettes. We have large furniture pieces as well as vintage, handcrafted ,clothing and gift items. We serve lunch and offer a full coffee bar. Complimentary treats will be served.